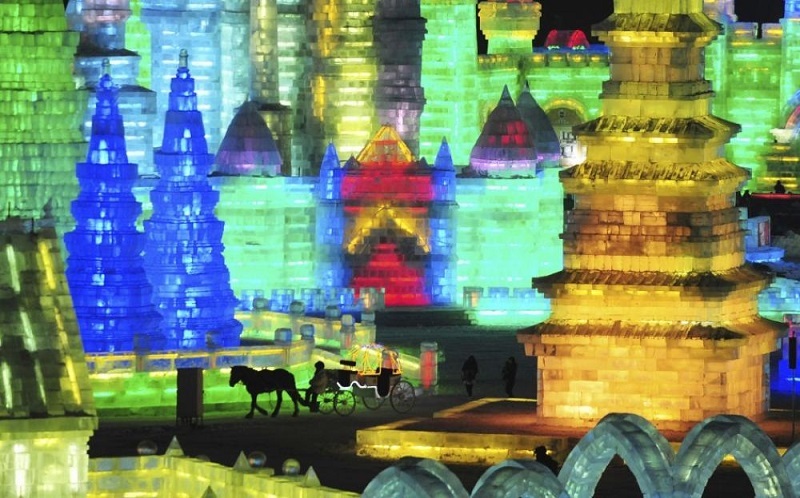 The Harbin International Ice and Snow festival attracts thousands of visitors with its impressive ice sculptures made from crystal clear ice. 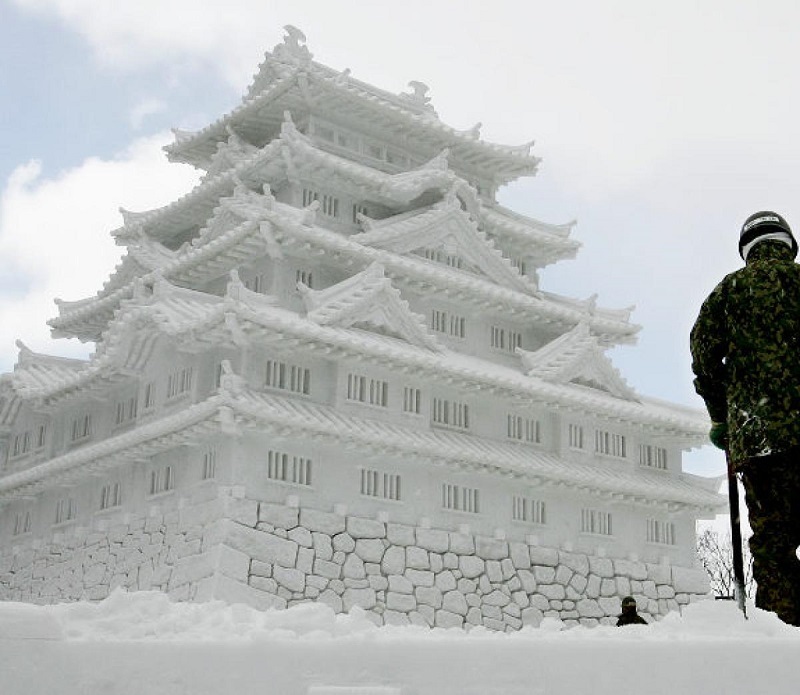 While spring, summer and fall have their upsides, there’s no better time of year than winter. Overflowing mugs of eggnog and warm evenings by the fire are just the start–the season is full of family, warmth and an extra couple of days off of work. 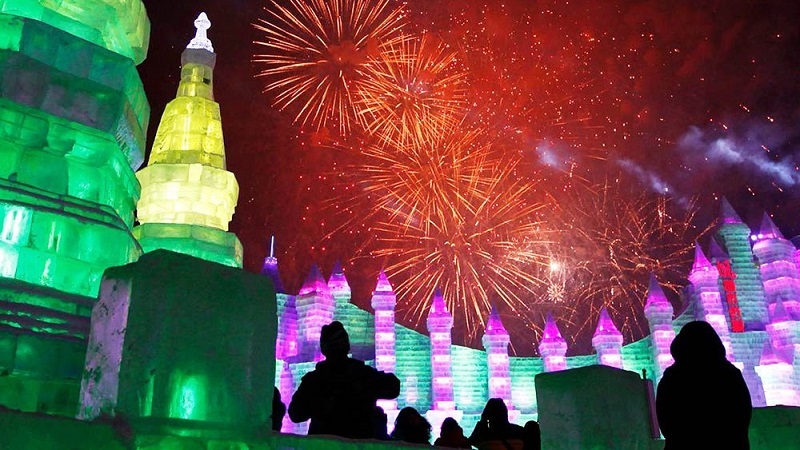 Winter also marks the start of the Harbin International Ice and Snow Sculpture Festival, which officially launches each January in Harbin, China, and is home to some of the world’s most breathtaking ice sculptures. 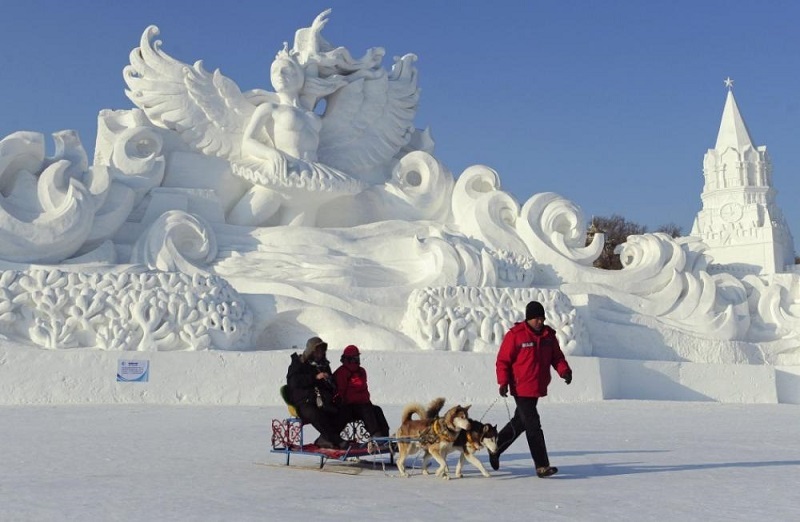 The Harbin International Ice and Snow Sculpture Festival began nearly fifty years ago in 1963. 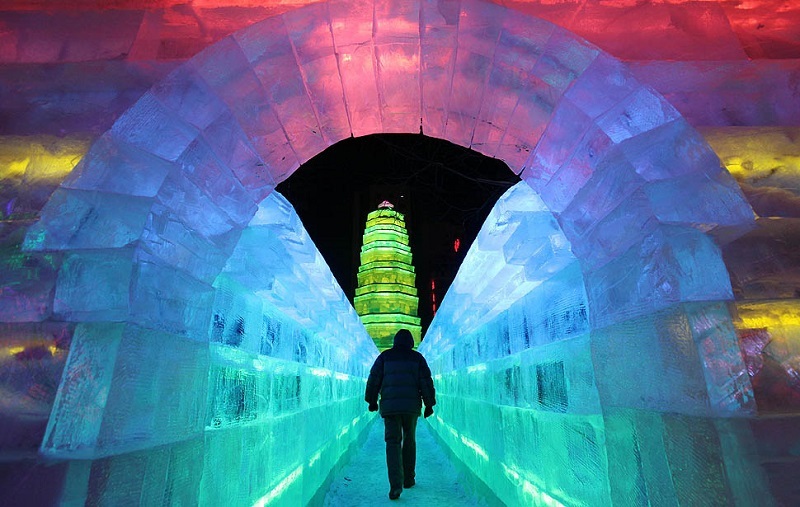 While the festival was halted for a number of years during the Cultural Revolution, it has since become a beloved attraction that draws thousands of guests each winter. 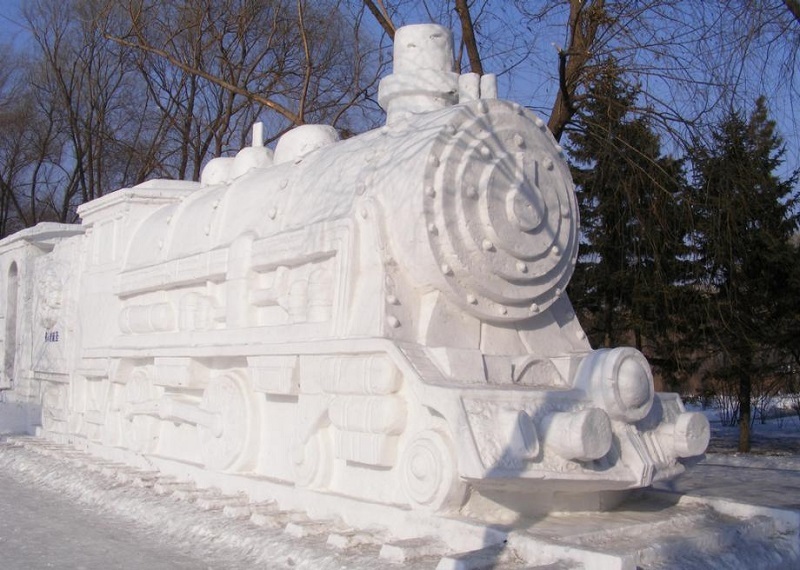 Aside from the world’s most incredible snow and ice sculptures, visitors will find a number of exciting events that take place annually, including ice and snow sculpture contests, trade fairs, winter sports and folk dance performances. 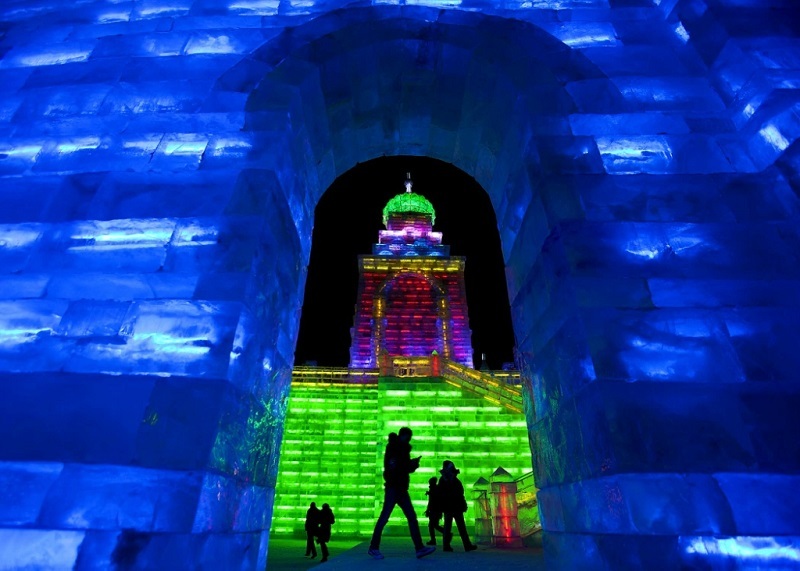 While the massive snow and ice sculptures at the Harbin Festival are impressive in daylight, the real magic of the festival begins at night, when the ice is lit up by brilliant blue, red and green lights. 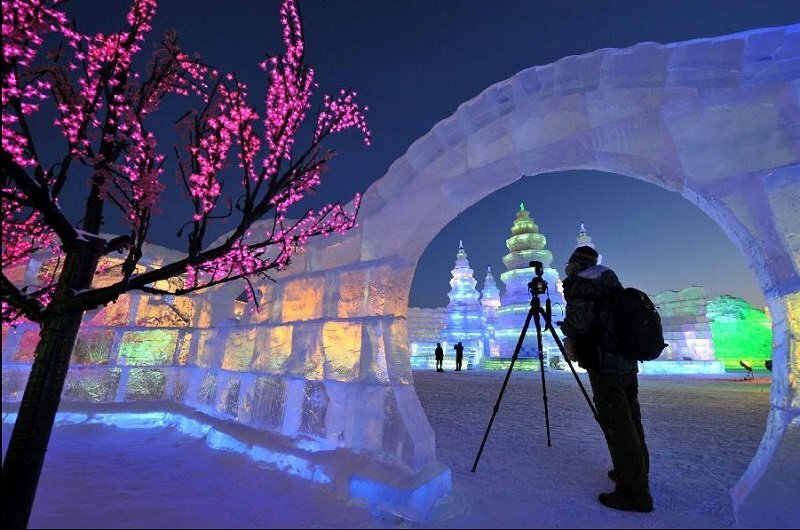 Located in northeast China with average temperatures hovering around a chilly -16.8 degrees Celsius, Harbin is the perfect place for an ice festival. 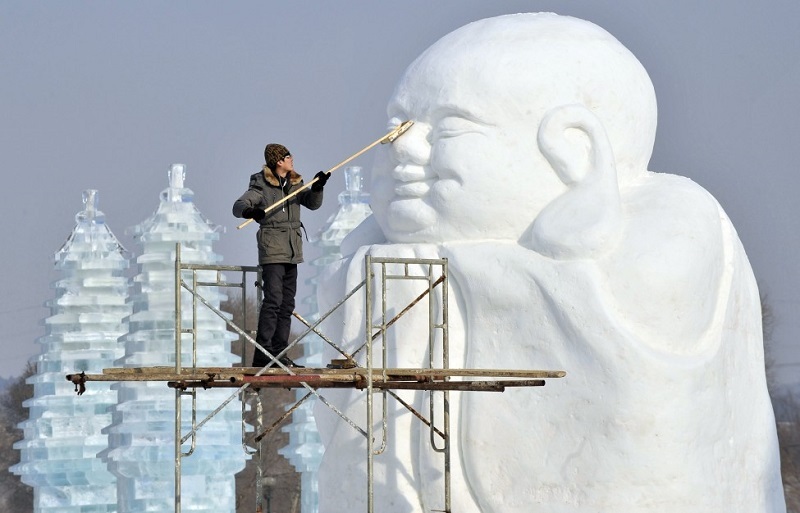 Each year, sculptors and builders take ice directly from the Songhua River for use in the wintry jamboree. 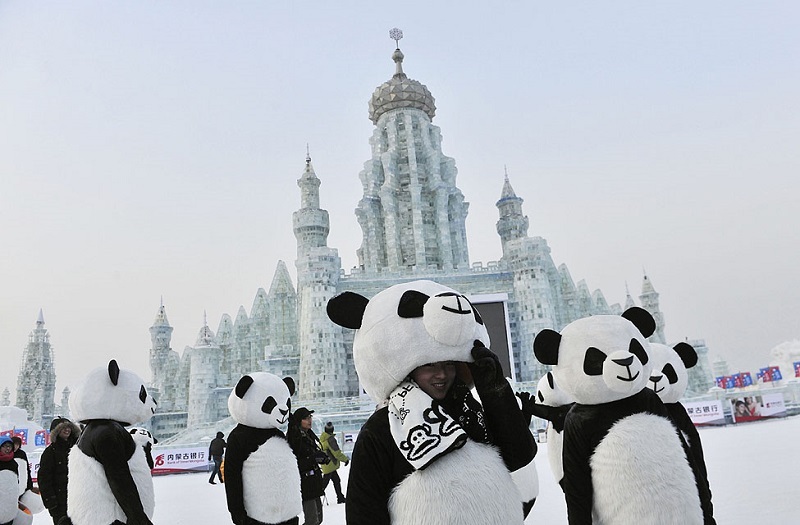 One of the festival’s main attractions is Ice and Snow World, which is a collection of ice buildings and structures that make up the festival’s center. 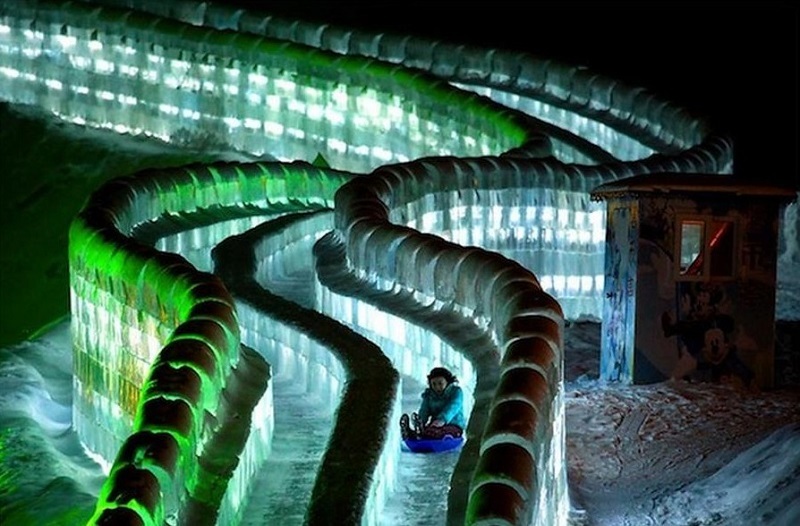 Sculptors create each of these structures from ice blocks that are a hefty 2-3 meters thick. 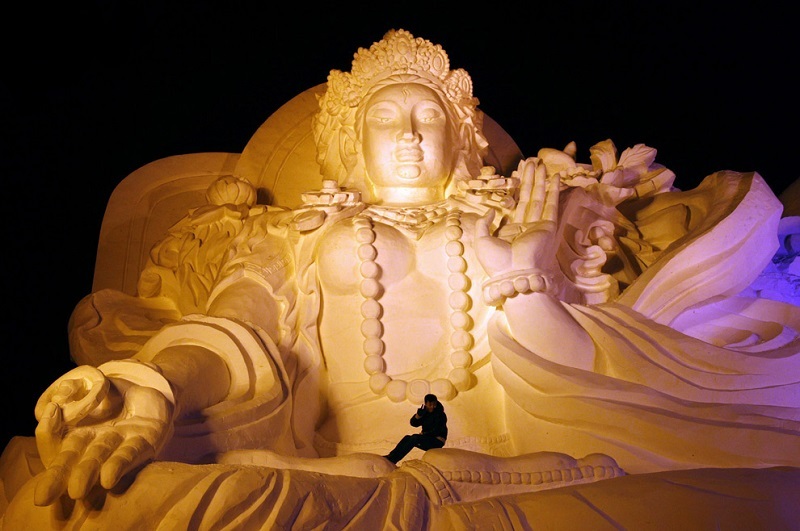 At the Sun Island exposition, another popular festival attraction, attendants will find some of the biggest snow sculptures in the world. 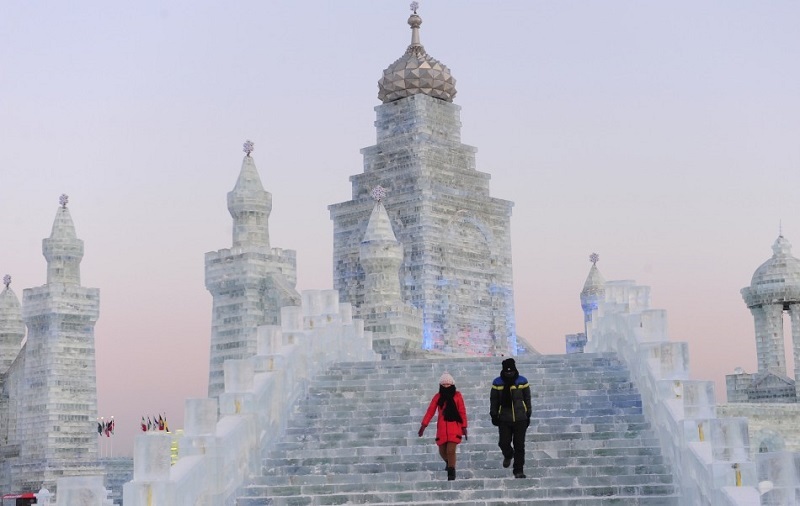 The Harbin Festival’s impressive ice sculptures are made possible thanks to modern technological innovations, which allow sculptors to cut, shape and move heavy ice and snow.